At Gary A. Zucker & Associates, P.C. in Brooklyn, we fight for the legal rights of all of our clients with great tenacity and diligence. This is very important when it comes to lawsuits concerning serious or fatal auto accidents. These kinds of collisions can change your life and the lives of your loved ones, particularly in accidents with large trucks. 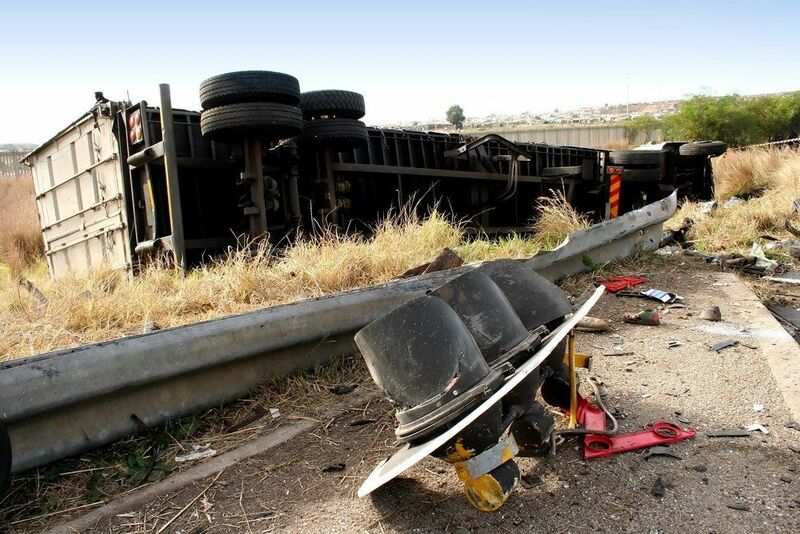 In a number of cases, these large truck accidents are the result of driver fatigue, which is a topic we'd like to explore in more detail right now. When a motorist suffers from driver fatigue, his or her reflexes and decision-making skills are seriously impaired. The drowsiness and exhaustion of driver fatigue means slower reflexes and delayed reaction times, which means a greater likelihood of avoidable accidents occurs. In addition, a driver may fall asleep behind the wheel, which can lead to serious rear end collisions or veering out of a lane or off the road. Truck drivers are often prone to driver fatigue given the demands of their job. Truck drivers have to sit behind the wheel for long hours, trying to meet strict delivery schedules. This often means skipping sleep or limited sleep, which makes driver fatigue far more likely to occur. The issue of driver fatigue made headlines last summer following an accident on the New Jersey Turnpike involving actor/comedian Tracy Morgan. Morgan was a passenger in a limo bus along with friend and comedy writer James McNair. Kevin Roper, the driver of a Walmart tractor trailer, had not slept for more than 24 hours as he was driving on the New Jersey Turnpike. Roper's severe fatigue behind the wheel resulted in a serious rear-end multi-vehicle collision, seriously injuring Morgan and killing McNair. McNair's family recently reached an amicable wrongful death settlement with Walmart for an undisclosed amount. Morgan filed a separate lawsuit against Walmart; a settlement has not be reached in that separate legal claim, which is ongoing. Truck drivers and trucking companies can prevent driver fatigue from occurring through common sense solutions. For one, drivers should take stretch breaks and get a good night's rest while on the road. This will help reduce instances of driver fatigue from occurring and protect the driver and other motorits. In addition, trucking companies can be more responsible and realistic with regard to deadlines and shipping times, accounting for necessary rest breaks for their drivers. When you or a loved one has been harmed by a large truck, our legal team can help you in the legal process. Many trucking companies have strong defense teams in place to fend off lawsuits, which is why having a skilled lawyer behind you is so important and crucial. We will not be intimidated by the legal teams that major companies or corporations have in place. Schedule a Consultation at Gary A. Zucker & Associates, P.C. For more information about your legal options following a serious auto accident, it's important that you contact the lawyers at our personal injury law firm today. At Gary A. Zucker & Associates, P.C., we will help you receive just compensation following a serious collision.